Bike illustration picked up during 80 + ARTISTS 100 + HOURS private view. 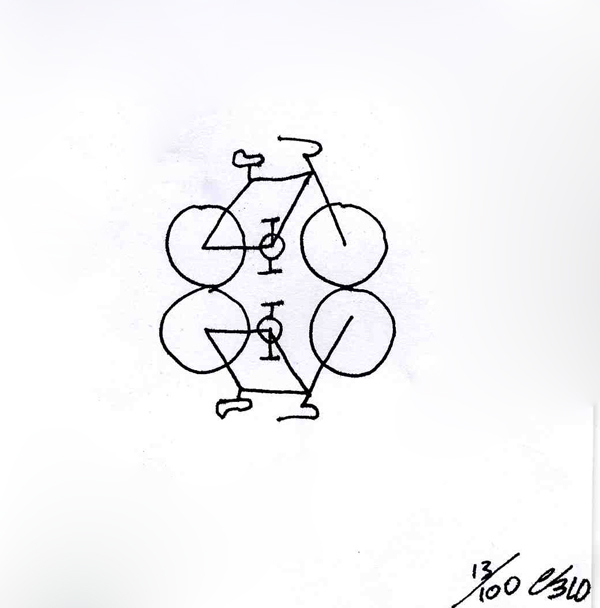 This entry was posted in Blog and tagged 13 / 100, 80 + ARTISTS 100 + HOURS, 80 artists 100 hours exhibition, bike, limited, London, plus art projects, Vilma Jaruseviciute by Vilma. Bookmark the permalink.